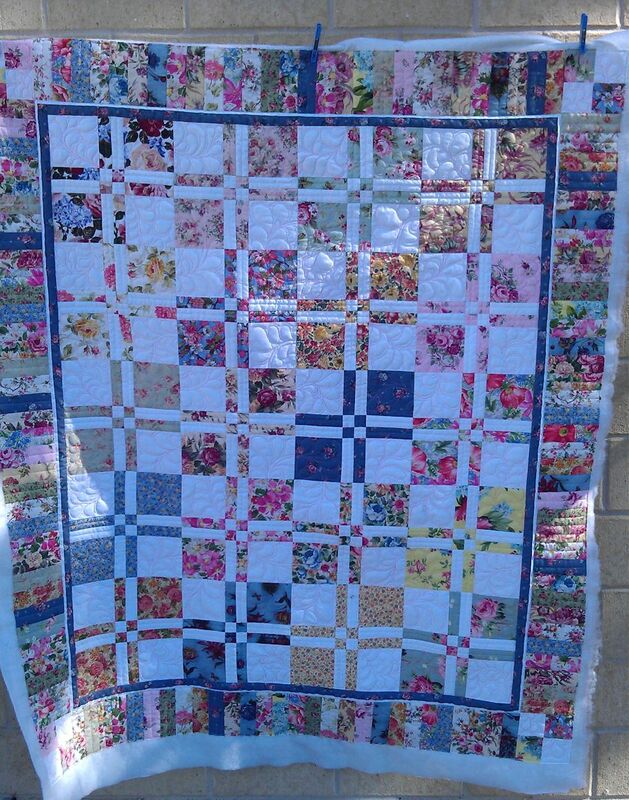 I started by stitching in the ditch around all blocks and in between the 1″ sashing strips, and did straight ‘piano key’ stitching every half inch on the border fabrics. I did all this stitching in a plain white cotton thread. 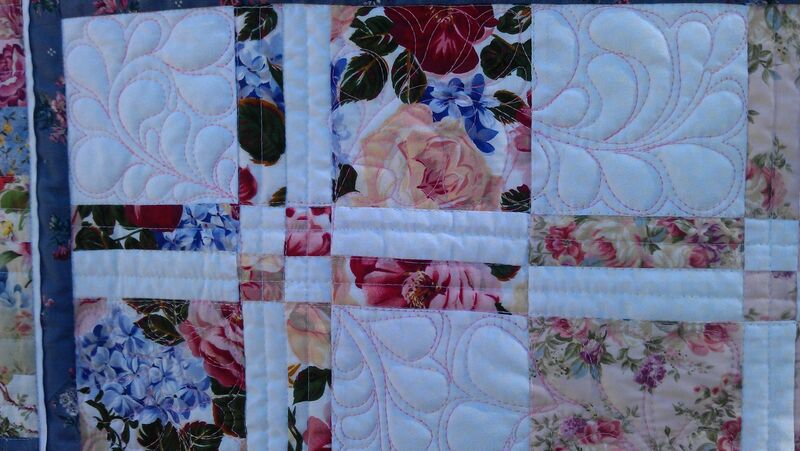 But what to do in the large floral and white squares? I thought of doing different motifs in each (in different colours), then thought that might be too ‘busy’ — I suspect this is a quilt to be used, not for show. So I decided to go with free form (no marking) feathers, in a soft pink variegated thread. a good solution Rhonda. 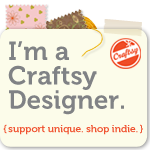 I often have trouble picking a design and visiting here gives inspiration. 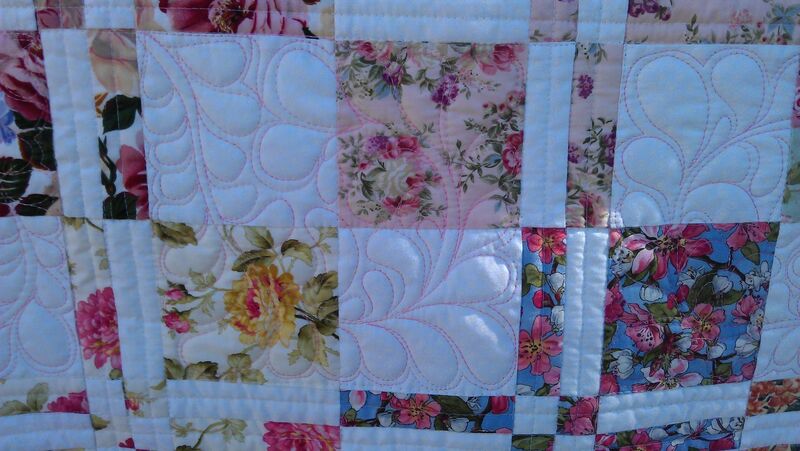 Very nice quilting. Love how it looks from the back. Just gorgeous. 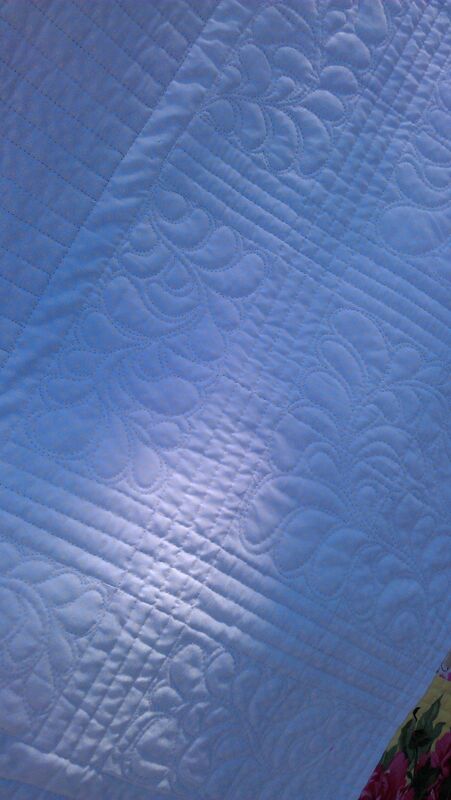 How do you mark the pattern on the quilt? 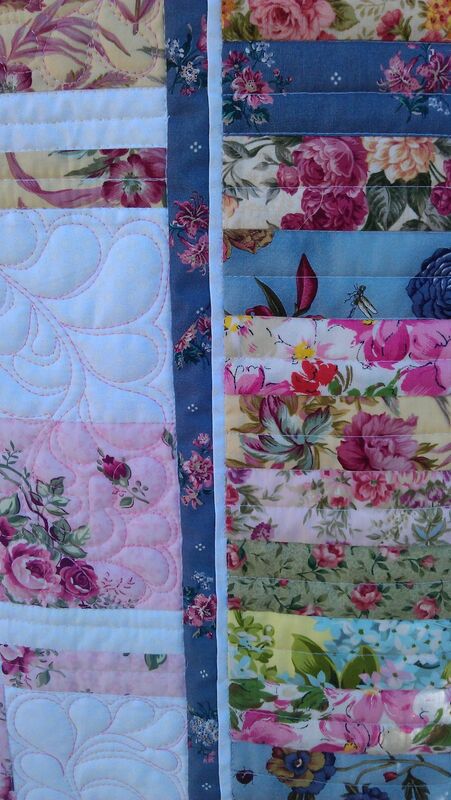 Or do you quilt it freehand? I’m new to this, with a Tiara machine that I’m trying hard to learn. All free hand. For the feathers, I just start with a sweeping ‘S’ curve (or similar), then quilt the feathers up one side, then echo back down that side, then do the feathers on the other side. For the straight lines, I used my Line Tamer ruler. You turn pretty into beautiful ! !